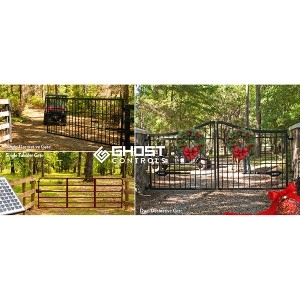 Our systems adapt in an innovative way known as GhostControl™ Intelligence, so that your gate opener can reliably operate in all 4 seasons of the year. As the temperature drops and your gate hinge lubricant gets thicker and harder to move, our systems will intelligently sense these changes and still open your gate in a safe and reliable manner. When the temperature warms up and your gate swings easier, our intelligent system will sense this change and still open and close your gate as smoothly as possible. The only thing you need to do is keep up to date on your gate maintenance on a routine basis and enjoy the control and convenience of our systems. 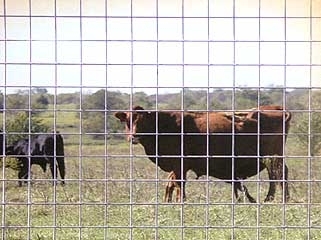 MAX 50-10 CATTLE FENCE PANEL 1050-8 5-GAUGE 16'. 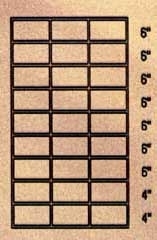 10 line wires, 50 high, 5 gauge, horizontal spacing: 1st two rows are 4 remaining 7 are 6 with 8 vertical spacing. Max 50 Fence Panels have been designed to maximize your savings, freight, and space. This product line allows side by side stacking, thus reducing the height, provides for safer and easier off loading, and reduces potential strap damage to the material. 11 line wires, 34 inches high, 1/4 gauge, horizontal spacing: 1st four rows are 2 inches, next two are 3 inches, next row is 4 inches, next two are 5 inches, remaining row 6 inches with 8 inch vertical spacing. 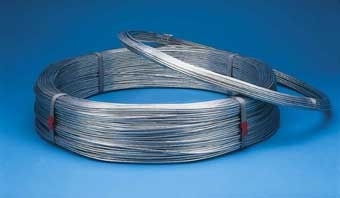 Our galvanized before welding process provides a smooth finish to each line wire, eliminating sharp burrs which may cause injury to the animal or their owner. 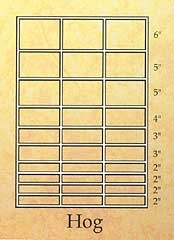 13 line wires, 50 inches high, 4 gauge, horizontal spacing: 1st three rows are 2 inches, next 2 are 3 inches, next 2 are 4 inches, remaining 5 are 6 inches with 8 inch vertical spacing. 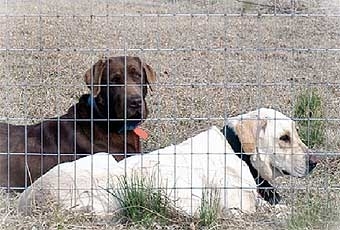 Max 50 Fence Panels have been designed to maximize your savings, freight, and space. This product line allows side by side stacking, thus reducing the height, provides for safer and easier off loading, and reduces potential strap damage to the material. Oklahoma Steel & Wire manufactures a strong, versatile panel, available in a variety of gauge and mesh sizes. 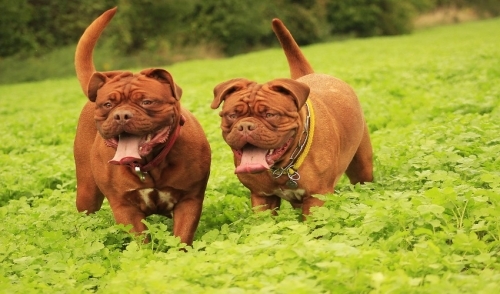 Our utility panels are a good choice for large or small animals, from cattle to dogs, or from monkeys to ostriches. Whatever your need, our utility panels can do the job. 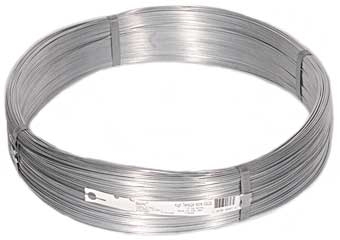 Bekaert Galvanized Smooth Wire 11ga 270ft 10 lb. 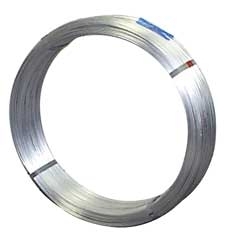 Made for a variety of uses, our merchant wire is available in 9 ga. or 16 ga. Also available in Class 3 coating. NOT A STOCK ITEM WITH BEKAERT STEEL. MANUFACTURED AS NEEDED. CALL FOR AVAILABILITY. 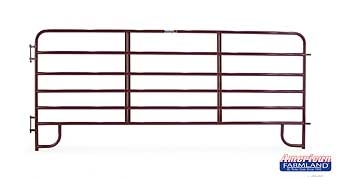 4FT 6-BAR ECONOMY WALK-THRU ARCH GATE - RED. 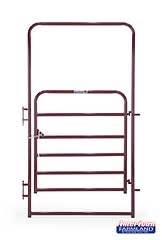 Our Walk Thru Arch Gate with Welded Corral Panel is built to stand rigid for ease of opening and closing when handling livestock. All of our panel-attached walk thru arch gates stand 8 ft. high for easy clearance and are available in 4 ft. or 6 ft. lengths. 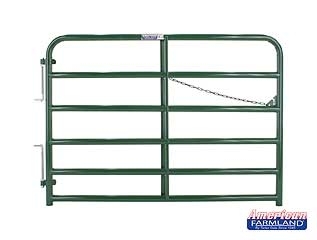 The corral panel attachments are available in 6 ft. to 8 ft. lengths. 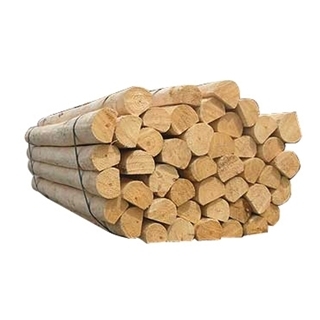 Both our economy and standard versions feature 6-bar, 1.75 inch round tubing and stand 60 in. high. 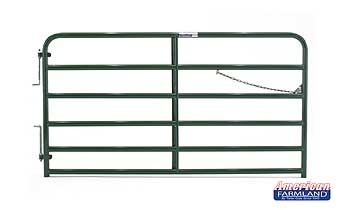 Allows gate to open and close with ease. For round tube gates with 1-5/8 to 2 O.D. Prevents gate sag. This hay basket is the perfect means for feeding square bales to horses in their natural feeding position while at the same time keeping the hay dry and off the ground. 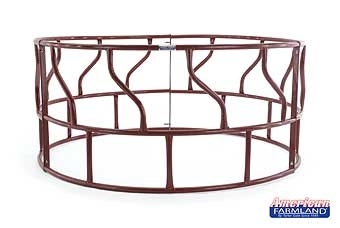 If features a smooth-sided poly basket for horse safety that is fully removable for easy cleaning and has large vent holes to let moisture out and keep hay in. 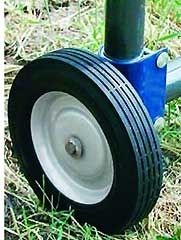 Our 3-piece Heavy-Duty S-Bar Hay Feeder is our most proven and solid design. The 3-piece construction makes for easy assembly. 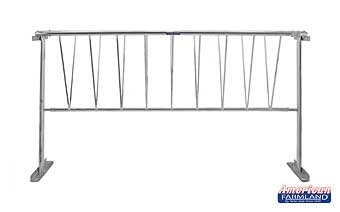 8ft in diameter and 45in high, this feeder features 1.75in round tubular steel, horizontal rails and vertical S-bars. The S-bar design helps prevent calves from getting inside and the heavy-duty end post brace provides superior strength and easy assembly. Available with or without the 17in metal hay-saver panel, the superior e-coat finish ensures longer life in the field. This feeder comes in red and galvanized. NOTES: All hay feeders come complete with bolts and nuts. Recommended for tough situations. 5FT POLY BUNK FEEDER RED FRAME. Our 1-Piece Poly Heavy-Duty Bunk Feeder is the industry leader in design and quality. The poly replaceable bunk liner is formed in a single piece with no seams or inserts and is built rugged to withstand abuse from small or large herds. The welded frame is made from 1.75 in. diameter rounded tubular steel. Available in 5 ft. or 10 ft. lengths in red or galvanized frames, the feeder is 27 in. wide. You can also add a 5 ft. or 10 ft. galvanized hay rack for even more versatility. 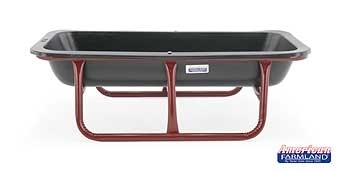 For our complete line of horse bunk feeders, please see the Feeders section on our Equestrian World web site. 10FT POLY BUNK FEEDER RED FRAME. Our 1-Piece Poly Heavy-Duty Bunk Feeder is the industry leader in design and quality. The poly replaceable bunk liner is formed in a single piece with no seams or inserts and is built rugged to withstand abuse from small or large herds. The welded frame is made from 1.75 in. diameter rounded tubular steel. 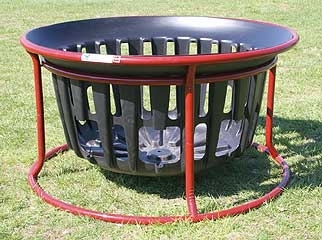 Available in 5 ft. or 10 ft. lengths in red or galvanized frames, the feeder is 27 in. wide. You can also add a 5 ft. or 10 ft. galvanized hay rack for even more versatility. For our complete line of horse bunk feeders, please see the Feeders section on our Equestrian World web site. 10FT POLY BUNK FEEDER - GALVANIZED FRAME - Our one piece Poly Heavy Duty Bunk Feeder is the industry leader in design and quality. The replaceable bunk liner is formed in a single piece with no seams or inserts and is built rugged to withstand abuse from small or large herds. The welded frame is made from 1.75 inch diameter rounded tubular steel.